Papua New Guinea will boot 15 Australian public servants from the country over fears they are spies and making local workers lazy. In a substantial blow to diplomatic relations between Australia and its former colony, PNG has gone ahead with a threat to end contracts for foreigners brought in to the nation’s public service. There had been 33 Australian public servants seconded to various PNG departments including officials from the Tax Office, Customs, the Auditor-General, the Ombudsman, Treasury and Finance. They had been part of a long-term program aimed at improving the quality of public administration in PNG - Australia’s largest aid recipient - which has struggled since its independence in the 1970s. 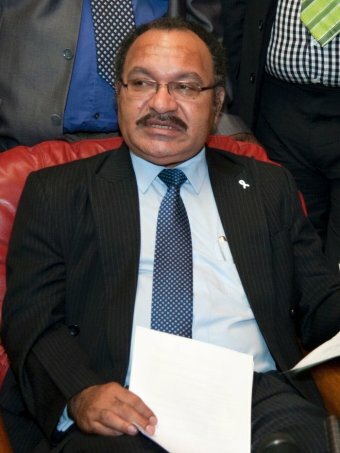 Many of those employed under the “Strongim Gavman Program” included staff in key justice areas of PNG including its Attorney-General Department, the Office of the Public Prosecutor and the Office of the Solicitor-General. But mid-year PNG Prime Minister Peter O’Neill stunned onlookers by announcing the end of the Strongim Gavman Program with the start of 2016. 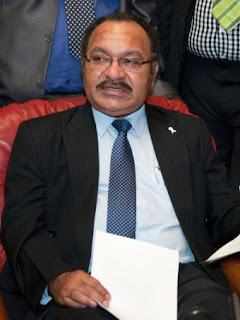 The Australian advisers, he claimed, had made local workers “lazy” while in some cases decisions were being made not in the interest of PNG in a direct suggestion the internal affairs of the country were being relayed to Canberra. In September, Mr O’Neill tried to play down the threat. He said then that “nobody is being thrown out on the street” while arguing he wanted people posted to PNG to show loyalty to the government. ButThe West Australian can reveal 15 Australian advisers had their deployments ended on December 31. They covered a range of Australian staff drawn from Finance, Treasury, Transport and Justice. A “small number” of new liaison officer roles are to be established this year to maintain relationships between the PNG and Australian departments but it is understood they will not be as fully embedded as the former staff. Australian officials fear the move will undermine years of work and put at risk the financial sustainability of the struggling nation. PNG is facing a massive fiscal challenge, agreeing to host the 2018 Asia-Pacific Economic Cooperation leaders’ meeting. There are already signs the logistics of handling the presence of the US and Chinese presidents plus leaders from Indonesia, Australia, Japan and Canada may overwhelm the PNG. Mr O’Neill used his New Year’s Message to focus on how his Government was improving conditions in PNG with a heavy focus on ridding the national police force of corruption. “We will continue to work to deliver the services of Government, and we will continue to make Papua New Guinea a better place,” he said. This year Australia will deliver almost $480 million in assistance but relations between the two countries have been strained over the Manus Island immigration centre.